Welcome to another installment of our “Trail Town” series and the third one in 2017. 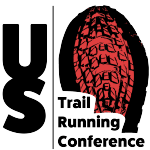 Every month we will feature an article about a trail running region that you should put on your bucket list of places to visit! This month we feature the county of Flagler, Florida. Content for this article was provided by Darbi Ellis, the Tourism Marketing Coordinator of Palm Coast and the Flagler Beaches. Within Flagler County, Flagler Beach captures the hearts of those looking to get away from it all. Cinnamon-colored beaches paint a peach-hued coastline unblemished by high-rises. You won’t find chain restaurants or hotels in this laid back beach town with a population of about 4,742. You can expect to be greeted and treated like a friend by the locals! If you are lucky you could see some dolphins or even a Right whale on your trip! There are several clusters of trails within Flagler County including Unincorporated Flagler County with 16 miles in the Princess Place Preserve and 6 more miles in the Mala Compra. Over in the city of Palm Coast beginning trail runners will find 2 miles in Graham Swamp Preserve which includes elevated boardwalk & coquina path of the Graham Swamp Trail. The city of Flagler Beach has the Betty Stiflik Preserve with boardwalk; unpaved sand and shell covered trails. Also look for the Bulow Ruins, River to Sea Preserve, the 19 mile A1A Scenic Loop and the Bella Vista trail. In the tiny town of Bunnell (Population 2,676) runners can check out the wooden boardwalk of Haw Creek Preserve and the Shell Bluff trail. Parking is free and there is limited public transit. There are many dedicated runners and cyclists in the community who come together to help ensure the future use of trails and bike paths. 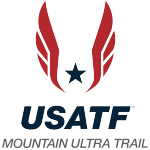 It is a tight knit community they have here, forming close friendships from their daily scheduled runs together, traveling to races together, and through their responsibilities to the trails. There are two main trail maintenance groups in the county. Flagler Biking Club is a group of volunteers dedicated to maintaining and updating Mala Compra Trail. Another group dedicated to the upkeep and maintenance trails would be the Graham Swamp Trail Crew. Both these groups schedule trail clean up improvements and work with the county/ city parks and rec department for use of bobcat, chainsaw and other materials to improve key spots. 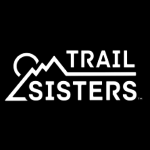 In addition, fundraising events are held, t-shirts are sold and donations are collected throughout the year to raise money to offset the cost of tools and supplies needed to upgrade and maintain the trails since they are constantly making sections of the trail more challenging and enjoyable for all levels. There is a large group on Facebook with over 600 members called “Flagler County Runners” that is a great resource for people with the same passion to come together to discuss upcoming events, schedule runs, share fundraisers coming up, and more. They frequently get together for social gatherings ranging from getting together at a wine and paint place to going to a local restaurant for a birthday celebration! Flagler Beach bustles with locals and visitors alike who have one thing in common; their love for Florida and the beach. Downtown Flagler Beach has many small shops, boutiques, and restaurants to enjoy along with an ocean view. Flagler Beach runs on island time and the leisure of it all is what keeps people coming back year after year! Swillerbee’s has innovative recipes like Jalapenos Sweet Cream, Bourbon Brown Sugar, Matcha Tea and more. Order coffee to go with your pastries; the roasting beans are brought in from six different countries and are used to make specialty coffees each week! Hammock Organics An organic coffee/café located in the beautiful hammock trees at the beach. They offer all organic coffee/espresso/teas for consumption and some for purchase. Break-Awayz has over 100 types of beer to choose from, along with fresh, delicious tapas style food. Flagler Beachfront Winery is a must so you can cross wine ice cream off of your bucket list. They also feature wine slushies and floats! Snack Jacks is a local favorite old Florida restaurant that actually sits on the sand, feet away from the ocean since 1947. They offer 1 pound of shrimp for $10 every Tuesday. Flagler Fish Co. is a combination restaurant and retail market. People come to Flagler Fish Co. from around the region and beyond for a taste of the freshest seafood available. Vessel Sandwich Co. – Savor the amazing flavors of the made-from-scratch, gourmet sandwiches available at Vessel Sandwich Co. This casual, chef-driven restaurant is bringing high-quality beach food and unique beer cocktails to Flagler Beach, Florida. Captain’s BBQ is ranked one of the best barbecue joints across the country. Captain’s BBQ offers some of the best true southern BBQ, only using the best quality meats and ingredients. Meats and side dishes are slow cooked in a special wood burning smoker. Also served up is famous cheesecake made by Cheesecake Mike, who retired from award winning Wholesale Bakery in NY City that manufactured desserts for Junior’s Restaurants. Feel free to pick up maps of trails and other informative pieces at the Flagler County Chamber of Commerce or the Flagler Beach Historical Museum. The Bike Doctor as well as Flagler Bike Fun Run would be a great place to pick up a trail map and chat with locals who are just as passionate about biking and running as well as give you some great insider tips! For more information go to the Flagler County bicycle trails website. Palm Coast and the Flagler Beaches are home to many of road & trail races held each year. Many of these races benefit the community in a variety of ways. The Pink Army 5K put on yearly by Florida Hospital is focused on raising money for breast cancer awareness. 100% of the funds raised go toward assisting qualified patients in our community who are in need. Graham Swamp 360 bike race as well as the Oceans 50 Relay Running Race are fundraisers to get money put back into the trails but maintenance and additions. The Oceans 50 Relay Race is a 50 mile running relay winding through scenic trails, along the ocean on A1A, over bridge, all with 5 of your best running buddies. When you’re finished you can have a beachside celebration with food and drinks.